ParkZen is committed to help people in finding street parking and in locating their parked vehicles, without the need of a bluetooth interaction. Save money and time to do things that really matter, instead of paying for private parking or looping around for that one free curbside spot. 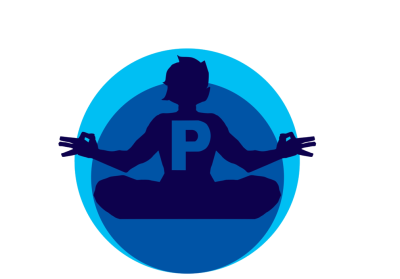 ParkZen is technology started by passionate problem solvers at the University of Chicago, in the heart of one of the city's most diverse and densely populated neighborhoods: Hyde Park. By simply downloading and running the ParkZen app you can help yourself and other users find parking faster. C.E.O. Manos is a theoretical Astrophysicist at the University of Chicago and thinks solving free curbside parking in Chicago can be as challenging as the theory of relativity! C.O.O. Aris is an expert on software project management, business development, quality engineering and leadership. He got his MBA from DePaul University at Chicago. Has worked as project director, business consultant and engineer both in the U.S. and Europe. His skills are crucial for envisioning our high level planning and daily operations. C.L.O. Pietro Bianchi is an attorney and a software engineer. He received his J.D. from DePaul University College of law. He then took an accelerated software engineering program while practicing tax and business law. His interdisciplinary knowledge pushes ParkZen's vision for the future of parking forward. 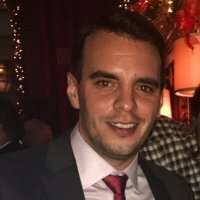 Pete Bianchi is an attorney and a software engineer. He received his J.D. from DePaul University College of law. He then took an accelerated software engineering program while practicing tax and business law. His interdisciplinary knowledge pushes ParkZen's vision for the future of parking forward. Manos is a Professor of theoretical astrophysics at Louisiana State University and worked as a research fellow at the University of Chicago in Chicago's Hyde Park where he lived for three years. He thinks solving free curbside parking in Chicago can be as challenging as the theory of relativity! Aris is an expert on software project management, business development, quality engineering and leadership. He got his MBA from DePaul University at Chicago. Has worked as project director, business consultant and engineer both in the U.S. and Europe. His skills are crucial for envisioning our high level planning and daily operations.